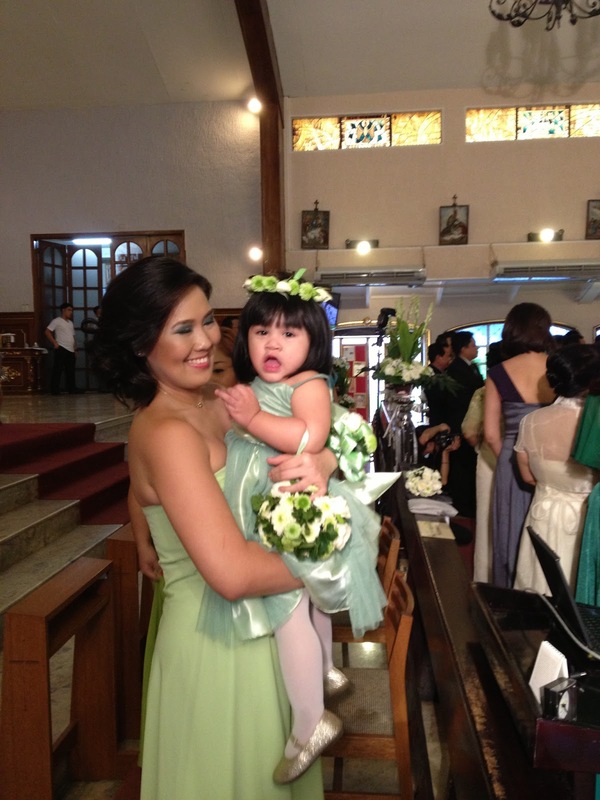 Tabby was a flower girl in Vera and Mik's wedding yesterday in a church in Eastwood. Oh, we had a hard time "controlling" her from not running back and forth the aisle. In the end, D4 (one of the candle sponsors) had to "walk" Tabby down the aisle. 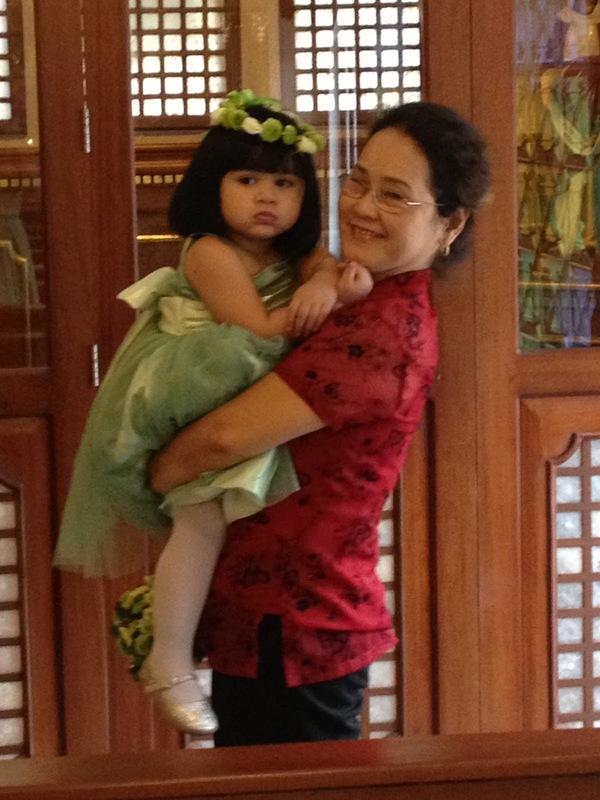 After the processional, I had to get the little-hyper-flower girl from D4. I can't let her seat with the rest of the entourage as she'd surely fret and wreck everything within reach! Yes, our pretty little angel is quite "active". So I got her from D4 and gave her to her nanny. What do you know? She does not want her nanny to carry her. She wants me! So, not minding my 4-inch heels, I carried her for quite some time. What now? My shoulders, arms and legs are now "complaining"!